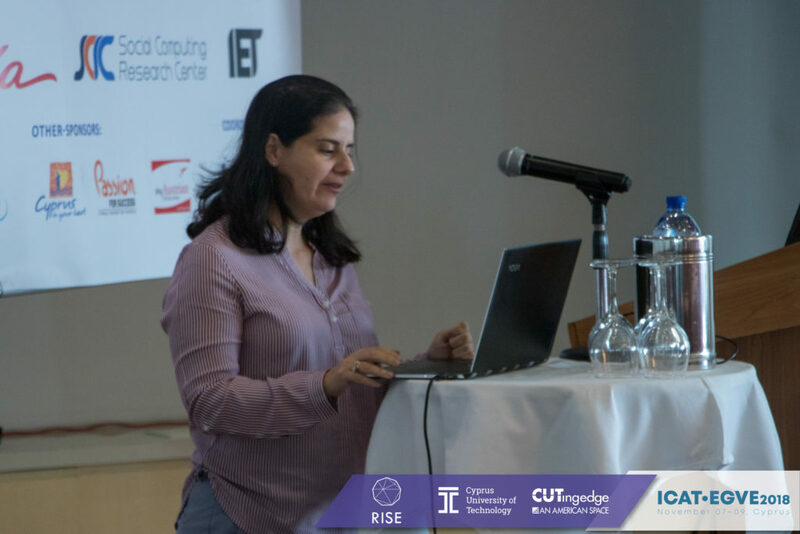 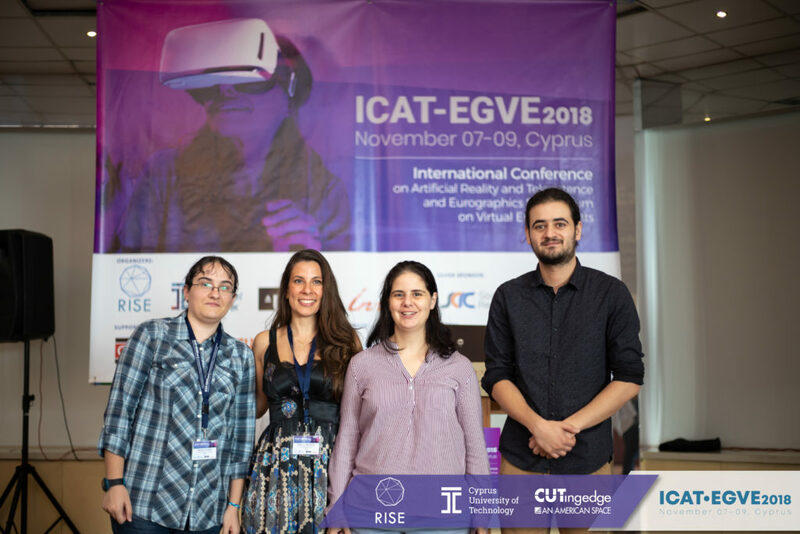 The ICAT-EGVE 2018 conference was the merger of the 28th International Conference on Artificial Reality and Telexistence (ICAT 2018) and the 23rd Eurographics Symposium on Virtual Environments (EGVE 2018). 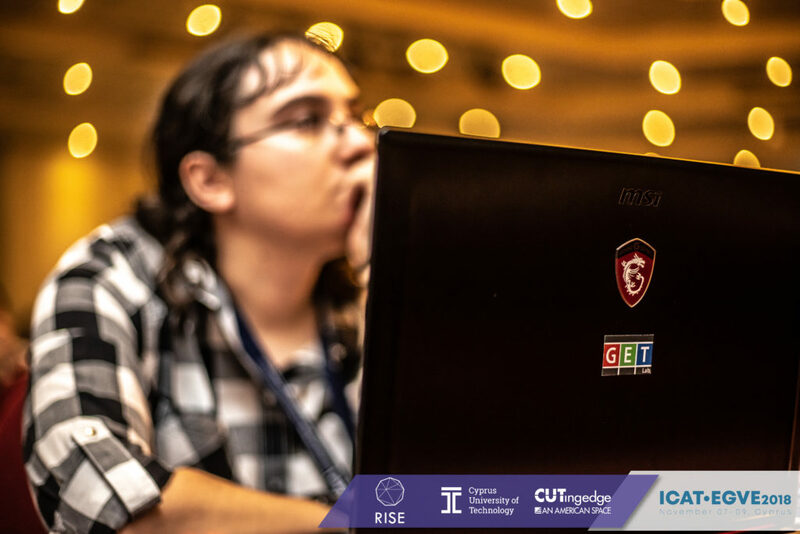 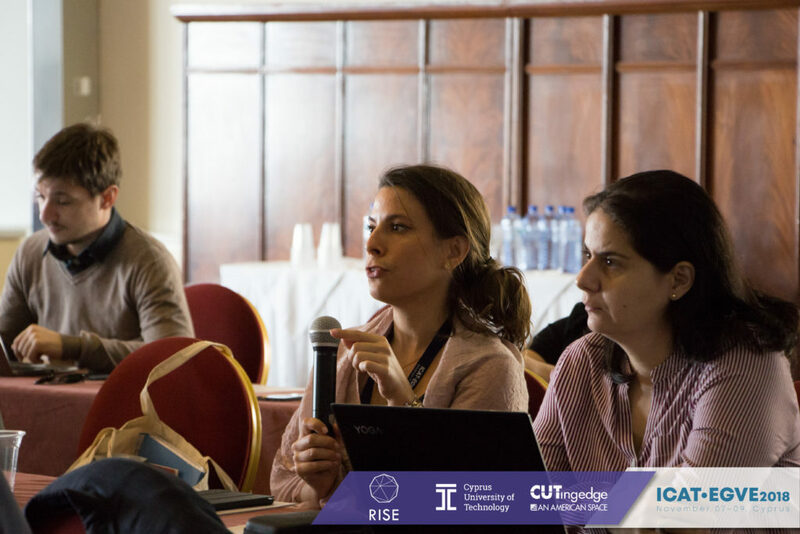 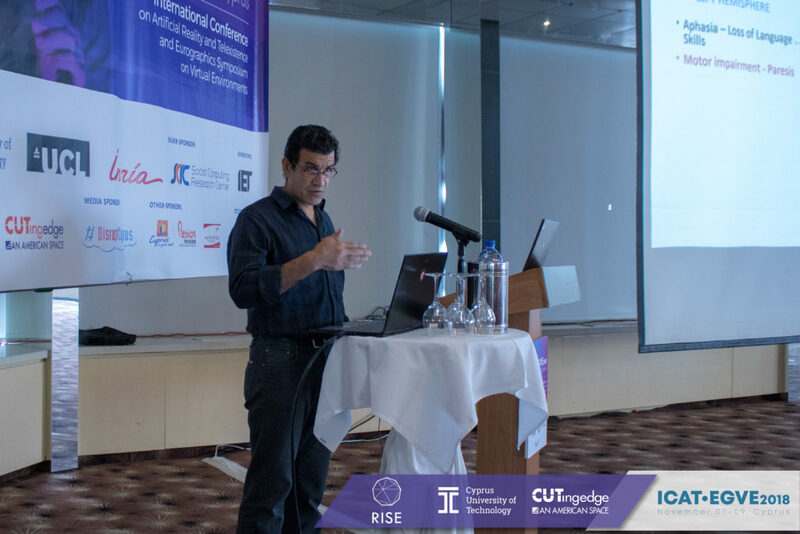 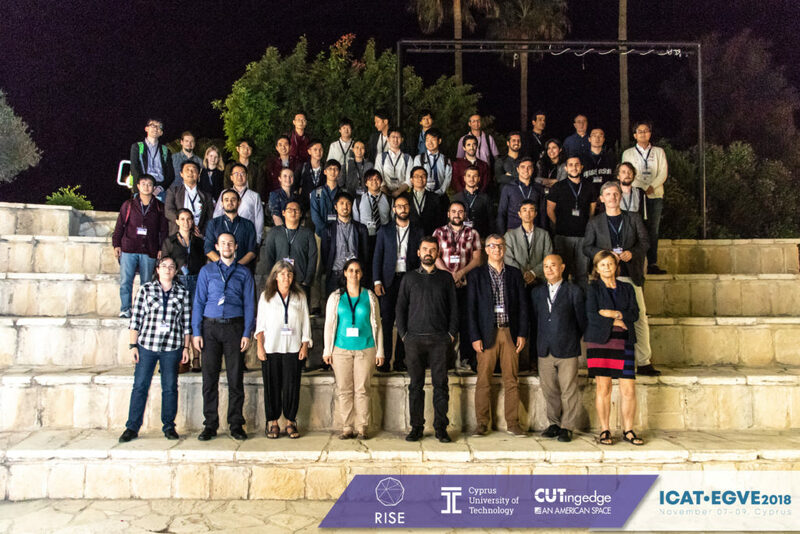 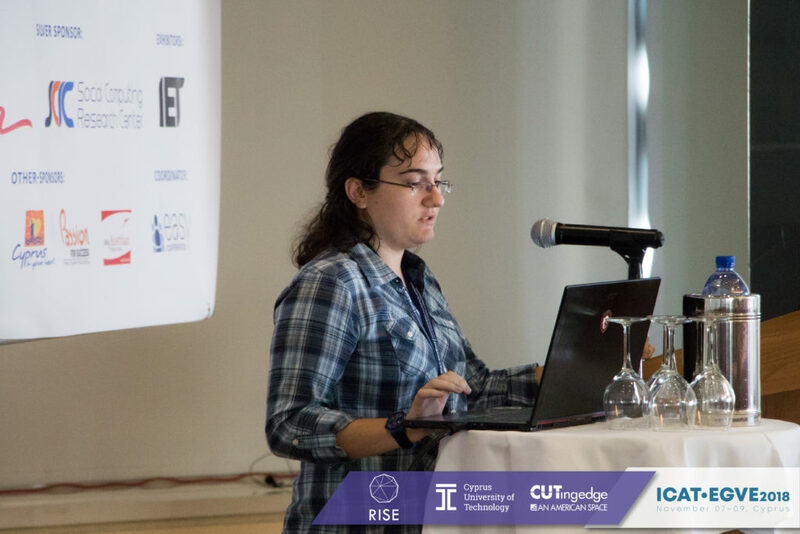 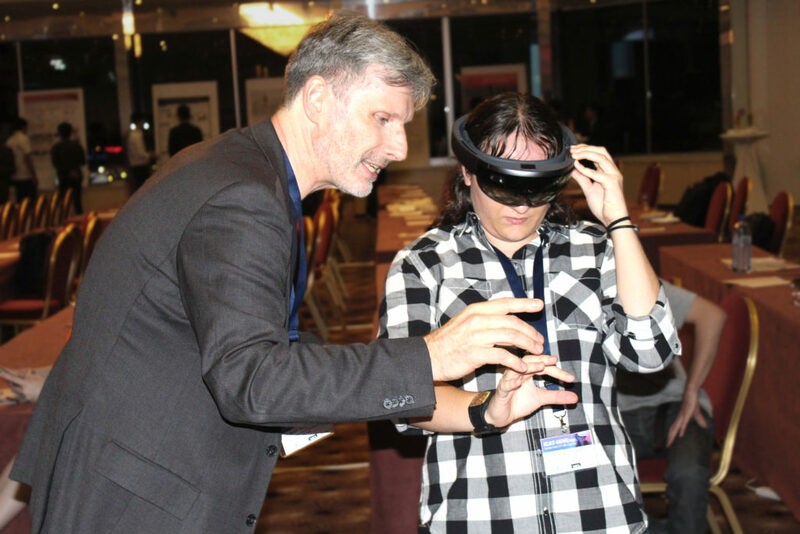 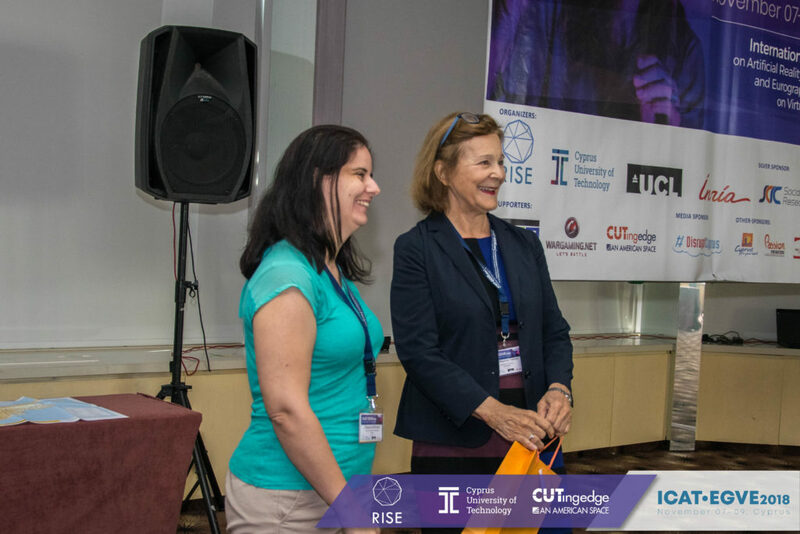 The goal of the conference was to provide a unique opportunity for researchers, developers, and users to share their experience and knowledge of Virtual Reality, Augmented Reality, Mixed Reality and 3D User Interfaces. 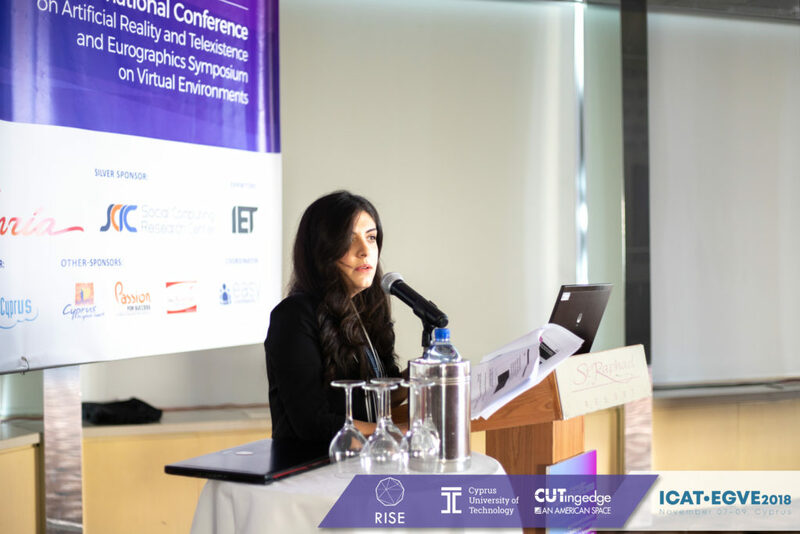 On the first day of the conference, Session 1 and 2 took place. 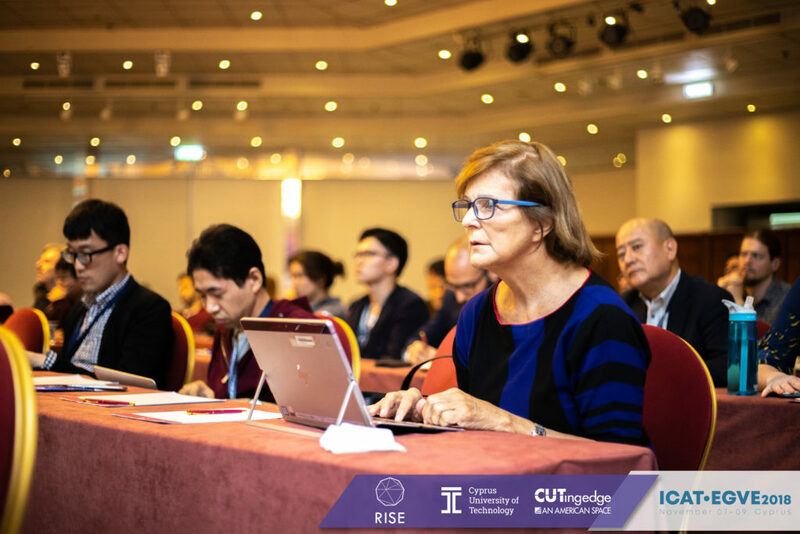 On the second day of the conference, Session 3 and 4 took place, and in the last day, Session 5 and 6 took place. 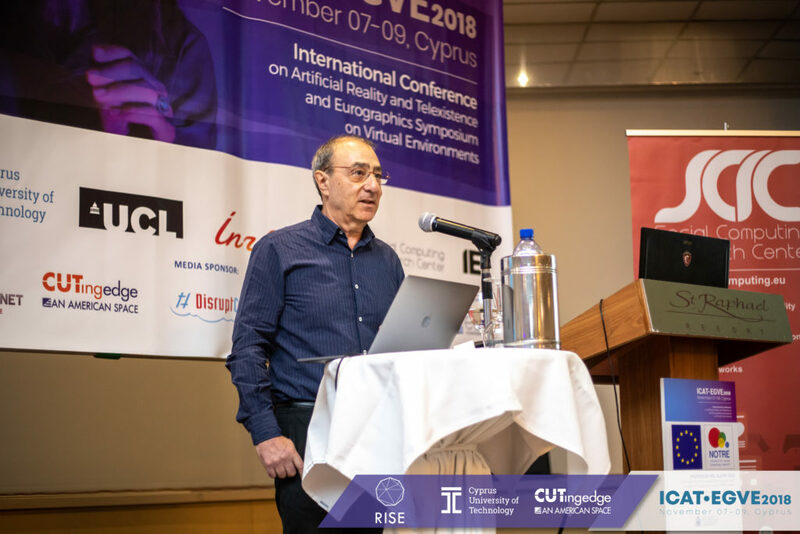 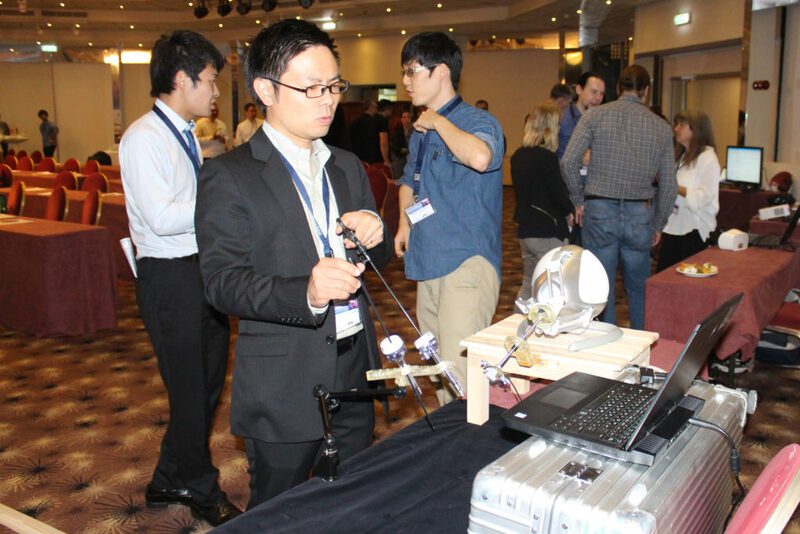 ICAT-EGVE included two Fast Forward Sessions (A, B) in the first day of the conference, in which the posters and demos authors’ had the chance to do a short 4 minute presentation of their work. 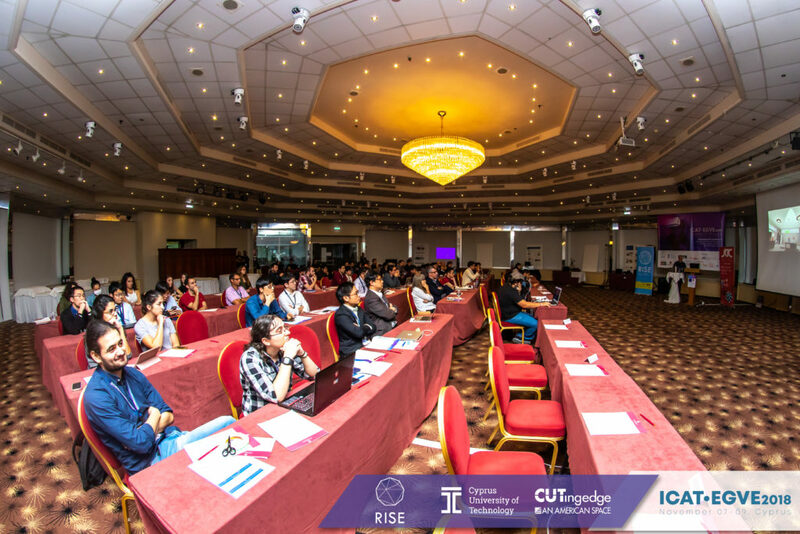 A teaser video of the posters and the demos was shown at the reception at the end of the first day of the conference, in which the demonstration of them took place as well.